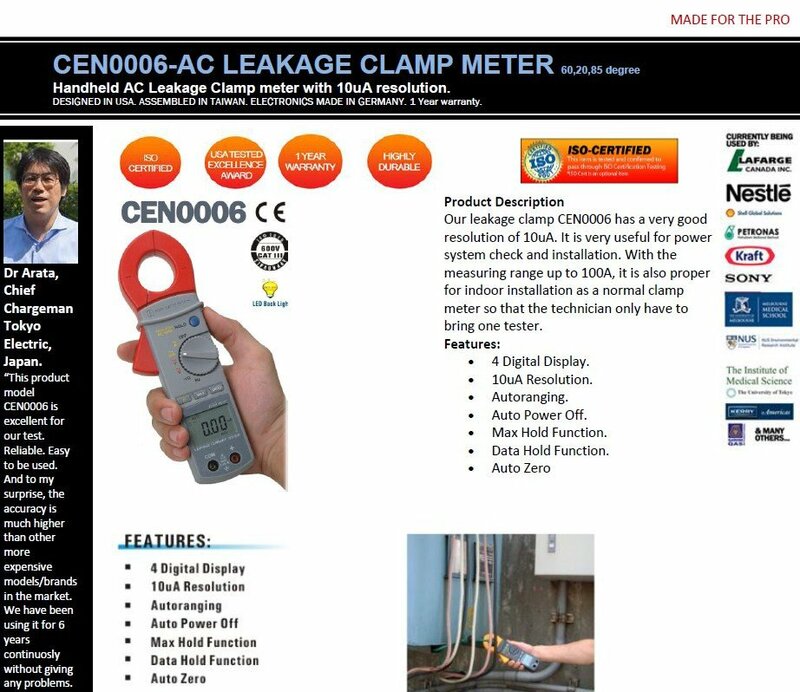 Our leakage clamp has a very good resolution of 10uA. 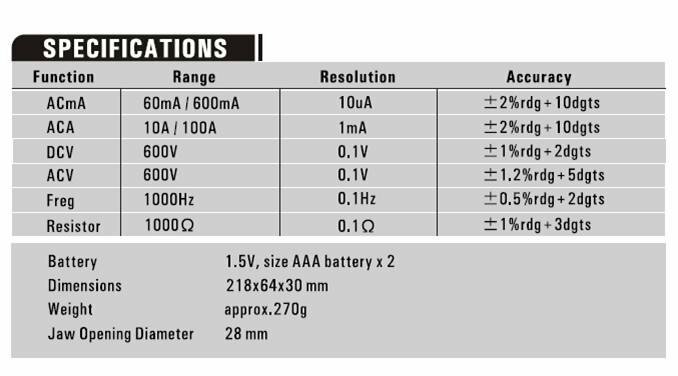 It is very useful for power system check and installation. 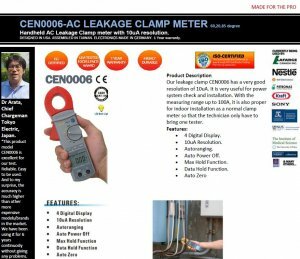 With the measuring range up to 100A, it is also proper for indoor installation as a normal clamp meter so that the technician only have to bring one tester. Bettery, Operation Manual, Carrying Case, Test Lead.